If you’ve spent a ton of time building an email list, you'll likely find it disheartening losing multiple subscribers a day. You might even be thinking, What am I doing wrong? The answer may be nothing: It’s totally natural and common to lose email subscribers here and there. But, if you’re losing a bunch at a time, the reason is probably a simple mistake or two that you’re making with your email marketing. It’s even possible that you’re annoying or angering your subscribers without realizing it. Luckily, you can identify where you’re going wrong and easily fix it, so that you can get back to delighting your email subscribers with messages that increase engagement and encourage them to buy. So, let’s stop your subscribers from hitting that dreaded “Unsubscribe” button. Take a look at these reasons why you might be losing email subscribers and ways how to fix what's wrong. I’m sorry, but nobody wants to deal with a company that comes across like a stage-five clinger. If you’re sending subscribers an email every single day, or worse, multiple times a day, they’re going to get annoyed -- fast. With inboxes that are overflowing with emails, people are already overwhelmed, and over-promoting yourself is a sure-fire way to lose email subscribers. It also comes across as desperate. When it comes to email marketing, then, quantity does not equal quality. How to fix it: There’s no set number for how many emails you should send your subscribers; it really depends on the type of communication you’re sending. When people sign up for a monthly newsletter, they expect to receive only one email per month. But if they sign up for a free trial of your product or subscribe to receive content that’s relevant to their interests, sending two to three emails per week is understandable. Your emails aren’t visually appealing. A wall of text is not going to entice your subscribers into reading your emails, so if they’re receiving, let’s face it -- ugly -- emails from you, they’ll be quick to hit that “Unsubscribe” button. Instead, you need to provide visually appealing emails. Now, that doesn't just mean including your branded colors, logo and attention-grabbing photos. You also have to make sure your emails are optimized to look good on different browsers and on mobile. For instance, take a look at BuzzFeed’s eye-catching emails. 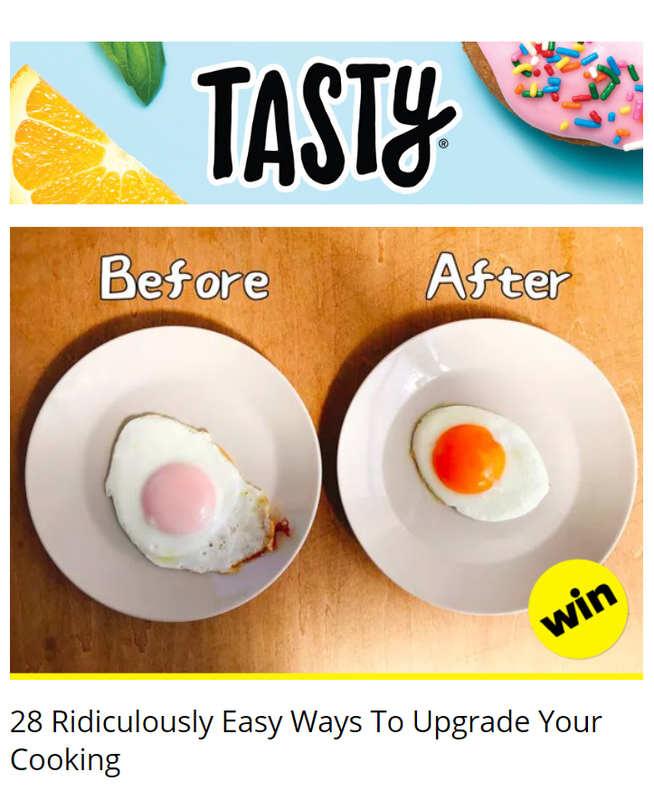 Its Tasty emails include a large image up-front to entice subscribers to keep reading and are optimized to look pretty no matter what device readers are viewing their messages on. How to fix it: You don’t need a graphic designer to make your emails eye-catching. Take advantage of the email marketing templates offered by email marketing services like Mailchimp. With drag and drop templates, you can easily insert your company logo and stunning images that will impress readers and keep them interested. Plus, all of their templates are designed to look great on mobile, tablet and desktop. Your subject lines are forgettable. Your subject line is the first impression subscribers get. In fact, 35 percent of email recipients in one survey said they open emails based on the subject line alone. If your subject lines don’t spark curiosity or excite your subscribers, your emails will sit in inboxes unopened or get sent to the trash without being read. When the people on your email list consistently find themselves uninterested in your messages based on your subject line, eventually they’ll realize there’s no point in staying subscribed to your list. How to fix it: To write a subject line that gets you more opens is to keep it short and sweet. So, include the subscriber's name to grab his or her attention, and use action-oriented words to make readers feel special. You can also use a tool like CoSchedule’s Email Subject Line Tester that will grade your subject line on character and word count. It will also tell you what words in your subject line will decrease opens and allow you to preview what your subject line will look like in inboxes on desktop and mobile. Subscribers aren’t getting what they signed up for. If you subscribed to an email list in order to get updates on the latest men’s fashion promotions, and the emails you received in your inbox were all catered toward women's fashion, would you stick around? Subscribers receiving emails that are completely unrelated to what they signed up for will quickly unsubscribe. After all, if your emails aren’t relevant, they aren’t providing any value, and your subscribers will feel ignored and unimportant. Adidas avoids sending irrelevant email marketing to its subscribers by sending its apparel promotion messages based on male customers and female customers. Image credit: Give subscribers relevant content. Campaign Monitor blog. How to fix it: Each of your subscribers is a unique individual with different needs, so don’t send everyone the exact same broad email message. Start segmenting your emails so that you can give your subscribers exactly what they want and at exactly the right time. You can use an email marketing service to easily segment your email list by location, gender, new subscriber or inactive subscriber, purchase history and more. Segmenting your email list will help get your marketing messages in front of the right subscribers, which will boost your click-through rates and your conversions. It’s totally normal to lose subscribers from time to time; this happens to every business. But if you find yourself losing too many subscribers, you can use these tips to identify the problem and come up with a solution, to prevent a dwindling email list in the future. You should also consider sending people an unsubscribe survey to learn valuable insights on why they’re opting out, to further improve your email marketing efforts and get more results.